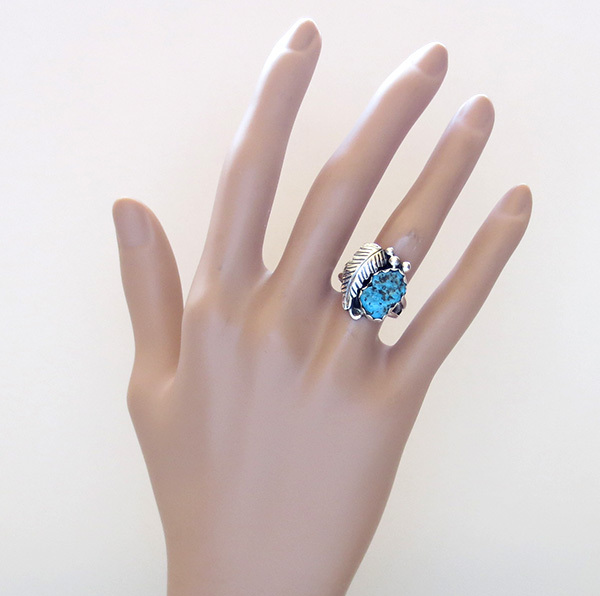 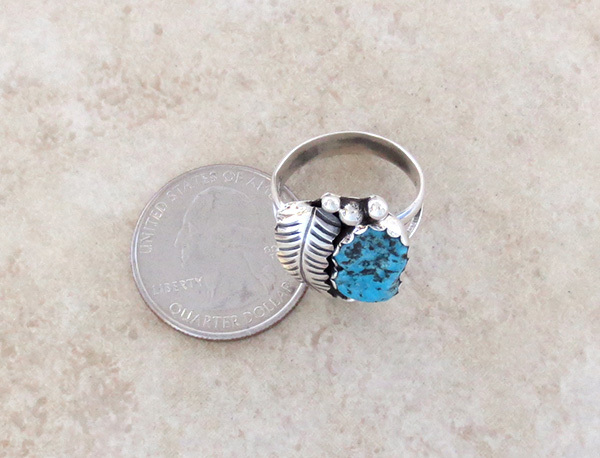 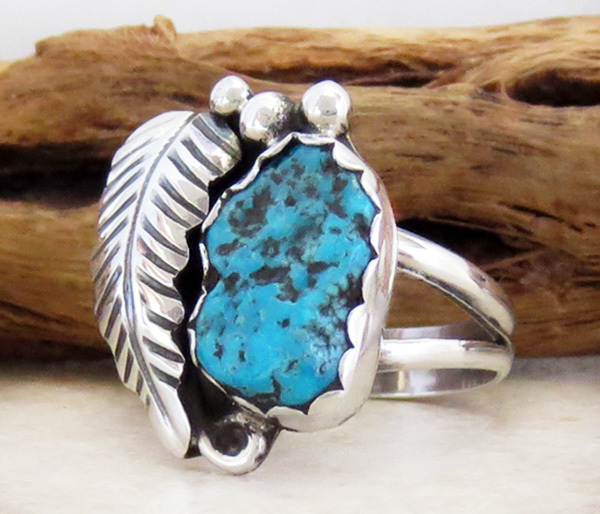 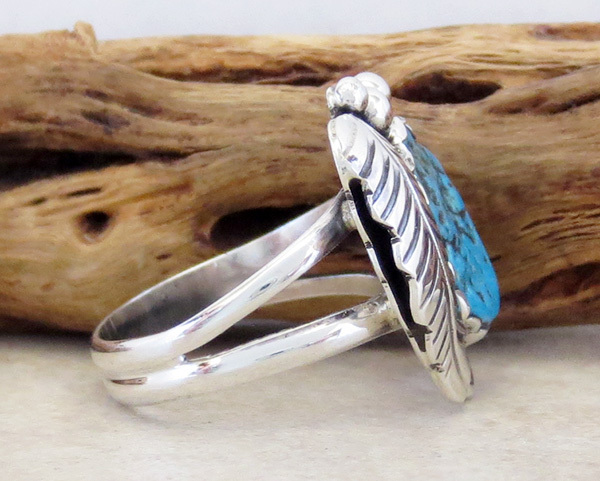 This sweet little Navajo made ring is a size 7 1/2 to 7 3/4. 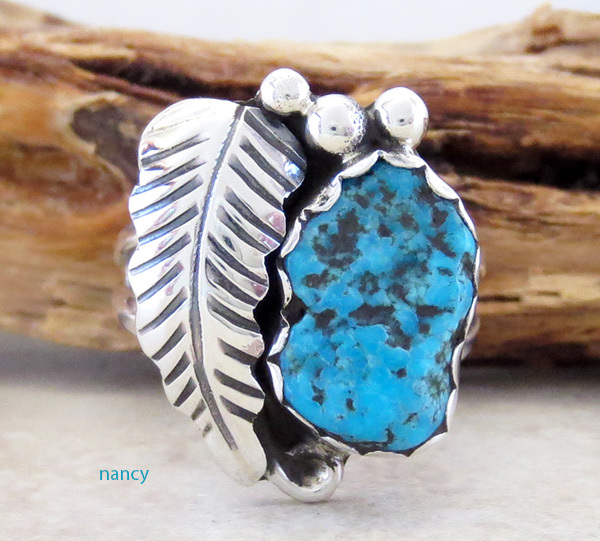 silver leaf as well as small silver raindrop beads. 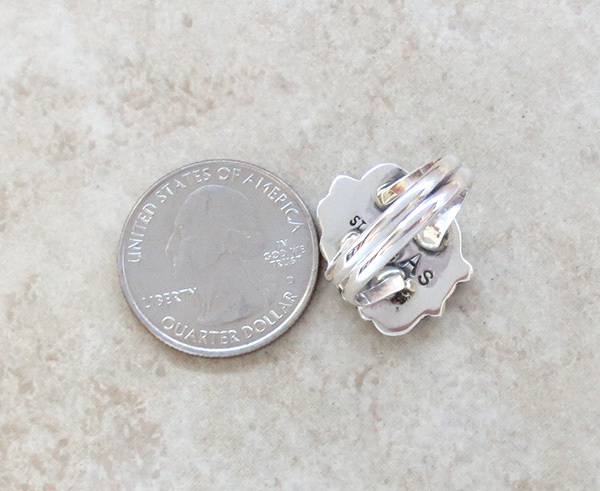 It's 3/4 tall by 5/8" at it's widest point.